Unless your name is Jeff Bezos, and perhaps even if it is – your day likely wasn’t quite as good as Boeing’s yesterday. The aircraft manufacturer officially inked a deal with American Airlines worth $12.3 Billion dollars, which simultaneously caused cancellation of an order for Airbus, Boeing’s direct competitor. If you love an improved passenger experience and less jet lag, you’ll love the Dreamliner – and American is about to have a whole lot more of them in the friendly skies. American Airlines made firm orders on 47 new Boeing 787 Dreamliner jets. The planes are part of an exciting new wave of passenger jets made with advanced materials, offering improved cabin air pressure, larger windows and jet lag reducing cabin lighting. 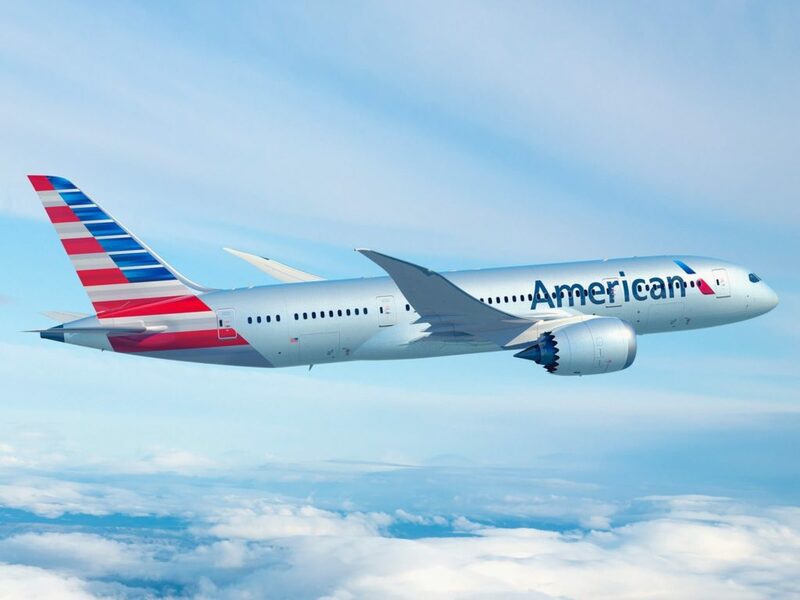 American Airlines has confirmed orders for 22 of the Boeing 787-8 shorter Dreamliner jets, and 25 Boeing 787-9 jets, which will accommodate a larger number of passengers on busy routes. Deliveries are expected to trickle in by the year 2020. 47-0 is a pretty commanding scoreline – and one that Airbus will certainly not soon forget. In formalizing their orders with Boeing, American Airlines formally cancelled orders for 22 Airbus A350 aircraft, the direct competitor to the A350 – which some travelers tend to prefer. American Airlines had consistently deferred delivery of Airbus A350 orders while it assessed fleet needs, and unfortunately for Airbus, they lost this one. American Airlines plan to retire it’s much loved, but much warn Boeing 767 aircraft by 2020. The planes, a marvel of their time are now roughly 20 years old and cabin dimensions do not fit for exacting new seat specifications of new interior plans. As American Airlines and its OneWorld partners double down on Premium Economy, these new orders will make it even easier to install the newest and best seats with the most current technology. American Airlines will almost undoubtedly launch fresh seats in all classes for new Boeing 787 deliveries. American parted ways Zodiac Aerospace in 2015, which opens up interesting potential for new seating options. The most likely choice would be SuperDiamond seats, which are also found on Qatar Airways 787 aircraft. It would certainly be an outside shot, but it’s hard to beat the user feedback of the Apex Suite, presently used by yet another OneWorld partner Japan Airlines. What do you think of this major order? Previous Article$1248 Business Class U.S. Cities To Brazil Or Argentina Round Trip – With Flat Beds!